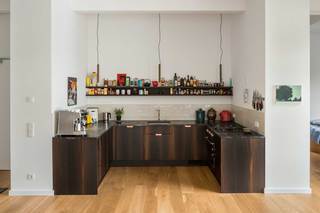 A kitchen made of fumed oak veneer with recessed handles made from solid copper plate. 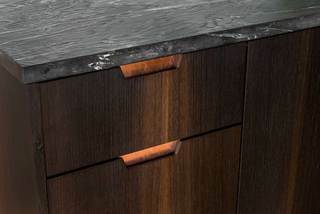 I used selected 1.5mm veneer all from one tree for the fronts. 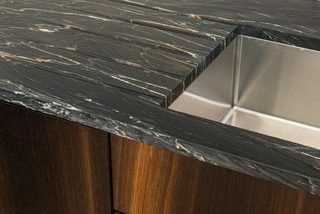 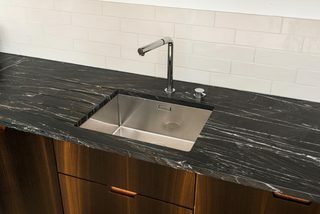 The countertop is made from granite with a brushed finish.